One of the most common, dangerous and yet easily prevented diseases that our beloved pets can catch is heartworm disease. 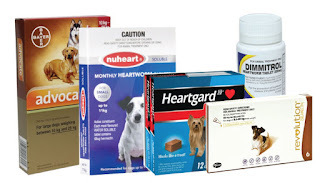 Learn about heartworm disease, the symptoms and preventative treatments here; to keep your pets healthy and active all year round. The spread of heartworm begins when an infected dog is bitten by a mosquito, which then results in that mosquito being infected. When that infected mosquito bites another dog, the mosquito spreads the infection. In the newly infected dog, it will take between six and seven months for the infective larvae to mature to adult heartworms. The adult heartworms mate and the females release their offspring into the host’s bloodstream, completing the lifecycle. Heartworm disease is not contagious, meaning that a dog can’t catch the disease from being near an infected dog. Heartworm disease is only spread through the bite of a mosquito, which makes it difficult to monitor without an effective preventative treatment plan. Often very subtle and tricky to detect, the initial symptoms of heartworm disease can be very mild. Early in the disease progression, there may not be any symptoms at all, which is part of what makes heartworm such a difficult disease to diagnose. As heartworm disease progresses from stage one through to stage four, treatment methods become increasingly more severe and invasive. Stage One: No symptoms or mild symptoms such as an occasional cough. Stage Two: Mild to moderate symptoms such as an occasional cough and tiredness after moderate activity. Stage Three: General loss of body condition, a persistent cough, and tiredness after mild activity. Trouble breathing and signs of heart failure are common. For class 2 and 3 heartworm disease, heart and lung changes are usually seen on chest x-rays. Stage Four: Also called ‘caval syndrome’. The severity of the worm burden will physically block blood flowing back to the heart, due to the large mass of worms. Caval syndrome is life-threatening and quick surgical removal of the heartworms is the only treatment option. The surgery is highly risky, and even with surgery, most pets with caval syndrome die. The good news is that this detrimental disease can be easily prevented and there are a variety of treatment options available. However, it is very important to understand that preventive treatments will not kill adult heartworms. If a heartworm-positive dog is not tested before starting a preventive, the dog will remain infected with adult heartworms until it gets ill enough to show symptoms. Also, giving heartworm preventive to a dog that has an adult heartworm infection may be harmful or deadly. 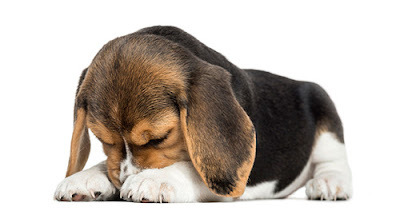 Annual testing of all dogs on heartworm prevention is recommended. Talk to your veterinarian about the best time for your dog’s annual heartworm test. Alternatively, Revolution or Advocate external pipettes can be applied to the skin once a month. An added bonus in using these preventatives is they also treat fleas and various other intestinal worms. Have you ever wondered why your cat chooses to run laps of the house at 3 A.M? Click here to read more.